If you haven’t discovered it yet, may we point you in the direction of the excellent Bands FC (@_Bands_FC). It’s a hugely popular twitter account that morphs band logos and football crests, to represent bands reimagined as fictional football teams. The results are warm, witty and interesting, making graphic connections between beautiful music and the beautiful game. Head boy: Here's how it works ... Radiohead’s logo merges with the crest of Oxford United, their home-town team. 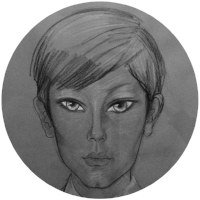 Some are obvious, others obscure, but the conceit recognises the similarities between both worlds — the passion, the partisanship and the distinctive iconography. Star player: David Bowie’s football badge takes inspiration from his final album, the Jonathan Barnbrook-designed ‘Blackstar’. Created by Stockport-based Mark Liptrott of Concrete Studio and Nick Fraser, head of merchandising for The Charlatans, the account has already attracted thousands of followers and bags of media attention since its launch during the World Cup/festival season. All kinds of designers, celebrated and unknown, have contributed to the collection, which is catching on like a modern-day Panini phenomenon. 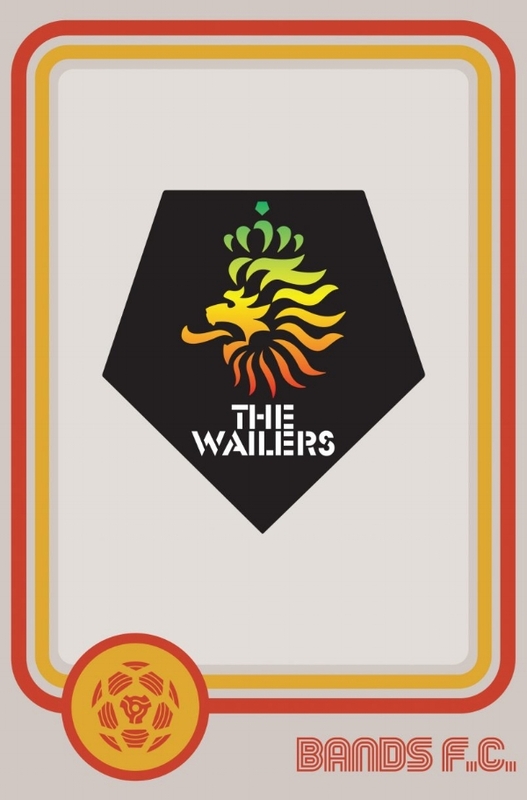 That’s spliffing: what do The Wailers have in common with the Netherlands’ national team? So where’s it all heading? Even as a project that’s being done purely for love (rather like BandLogoJukeBox), all kinds of unexpected opportunities have been springing up. Exhibitions are in the offing, while various featured bands are producing the designs as merchandise to raise money for charities. 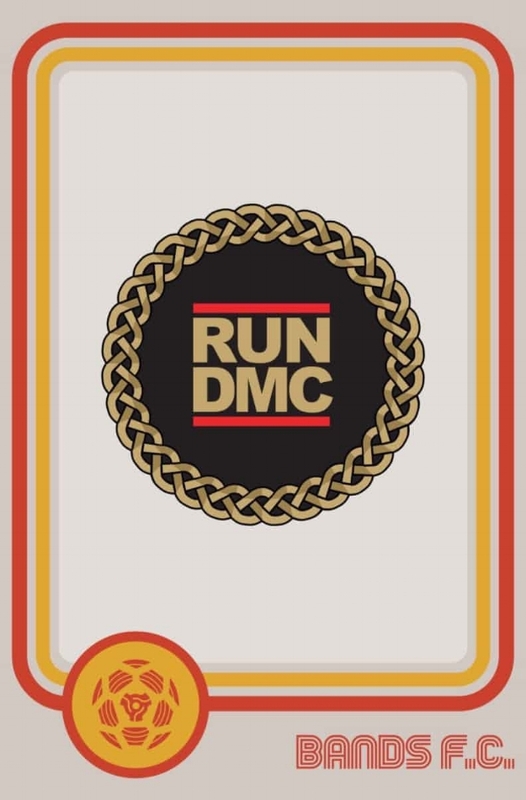 Bling it on: Run DMC FC’s typically understated crest. Bands FC has already sponsored a local boys’ and girls’ football team and will be selling wall charts of the badges to raise money for kits. Other monies raised will be put back into helping upcoming young bands record.